coupled with an attitude of moral apathy," Dr. Wolman asserts. He cites international statistics pointing to a showdown between dangerous individuals -- the violent, the charming, and the passive -- and the societies that create them. 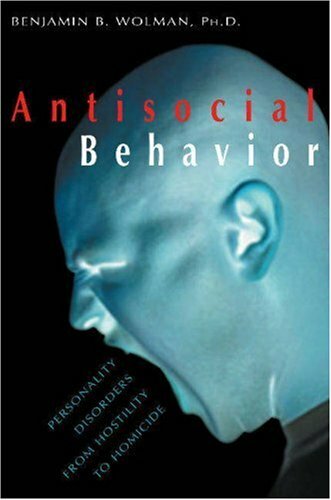 How has the spread of democratic ideals actually increased the potential for antisocial behavior? What social and cultural factors must be changed if free societies are to reduce this alarming trend? Rather than simply complain about the problem, Dr Wolman examines the familial and societal causes, and proposes clear-cut solutions to the problem-including radical changes to our educational system and the mass media.